Welcome to France! 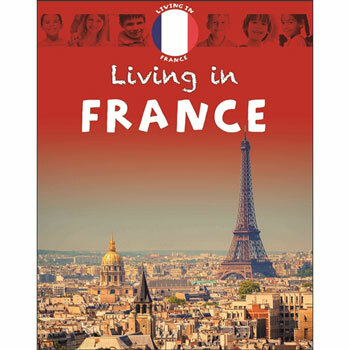 In this book, young people tell you all about what makes their country special, from its great capital city of Paris, to the landscape, people, food and things to see and do. Learn about the similarities and differences between growing up in France compared to your life at home. Clear, friendly text and big photos make these books a great starting point for learning about France and French culture. Living in France is an ideal introduction to French culture for 6 - 10 year olds.